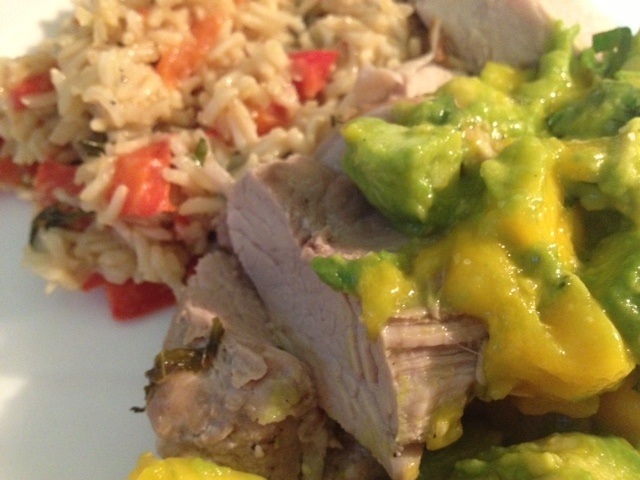 Coconut & Basil Pork Tenderloin With Avocado Mango Salsa. 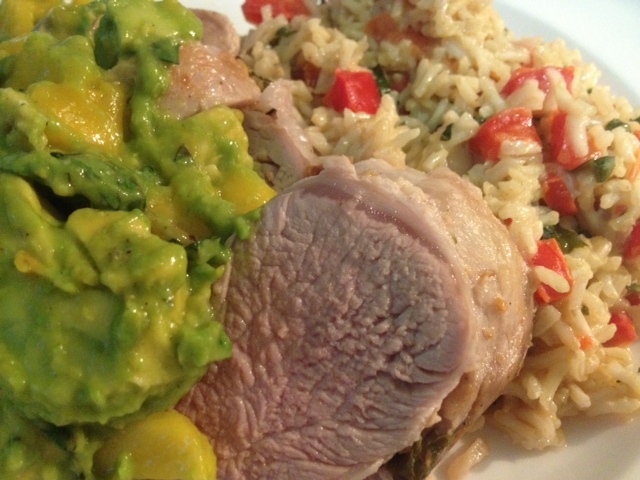 Roasted Coconut & Basil Pork Tenderloin With Grilled Avocado Mango Salsa. This recipe was inspired by a Bobby Flay recipe that I saw him making on TV over the summer. His recipe is more complex, while mine is a bit simpler with fewer ingredients, but the basic flavors are the same. The coconut milk gives the pork a subtle coconut flavor that is brightened up with the flavor of the basil, avocado and mango. I made this for a group of friends over the summer and served it with some coconut milk infused brown rice (similar recipe here) and it really helped bring out the overall coconut flavor of the dish. 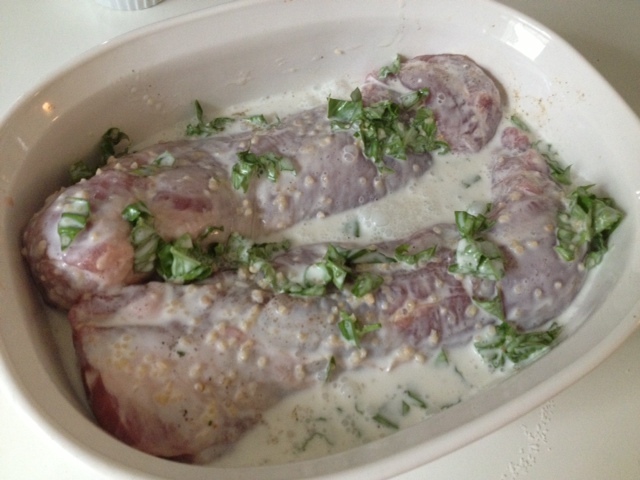 Begin by marinating the pork tenderloin. Mix the coconut milk, lime juice from 2 limes, half of your chopped basil and garlic in a shallow dish and then place the tenderloin in the mixture, coating both sides. Season with a dash of salt and black pepper and place it in the refrigerator for 3-4 hours. Flip the tenderloin once an hour so the tenderloin marinates evenly. After marinated, remove the pork from the liquid and place in a roasting pan. Cook in a 450 degree oven for about 25-30 minutes, or until the internal temperature reaches ~145 degrees. While the pork is in the oven, heat your grill and spray or brush lightly with olive oil. 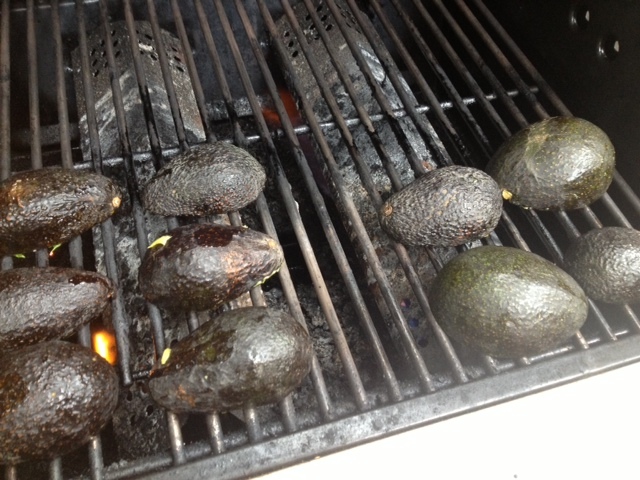 Place the halved avocados on the grill for about 5 minutes. 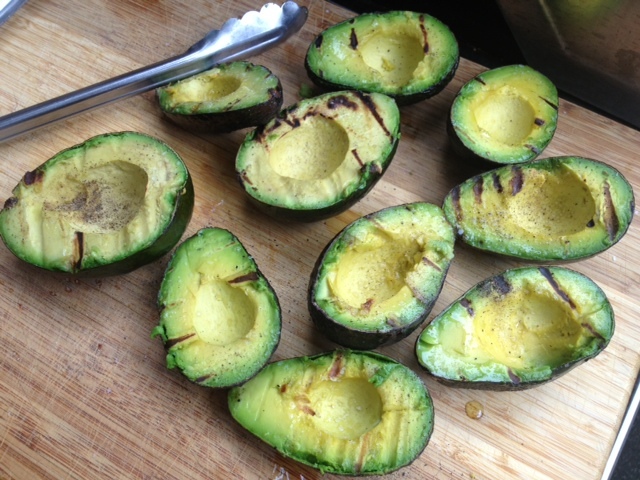 Remove from the grill and once they are cooled, dice the avocado and mix with the mango, the other half of your chopped basil, the juice from 1 lime and some salt and black pepper. 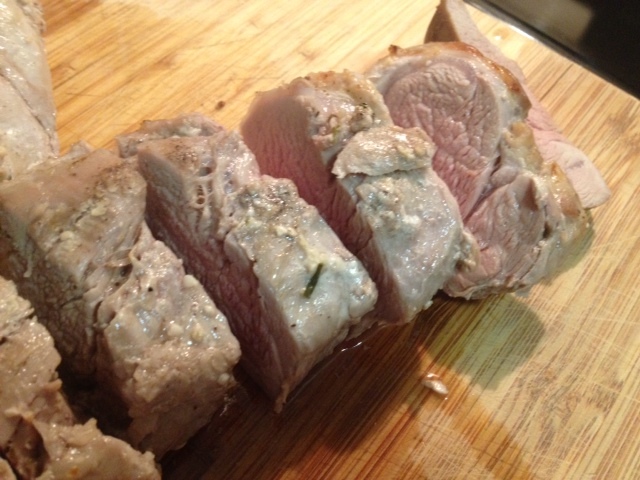 When the pork comes out of the oven, allow it to rest for about 10 minutes or so before slicing. 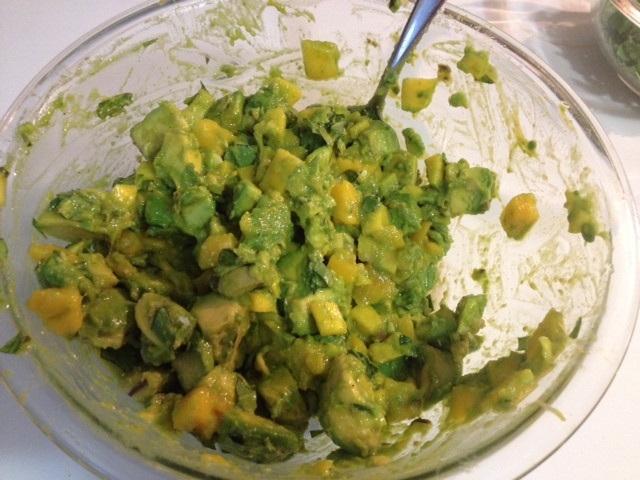 Top the sliced tenderloin with a heaping spoonful of the avocado mango salsa. ← Smoked Kielbasa & Cannellini Bean Soup.